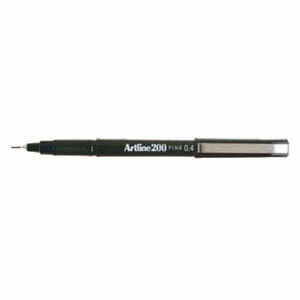 Artline 200 Fineliner Pens are ideal for general purpose writing and drawing at the office, in schools or at home. This Artline 200 Fineliner Pen range uses water-based ink that dries instantly with no blur. Xylene free.